https://www.tradingdepot.co.uk/deanta-valencia-prefinished-walnut-glazed-door-1981x686x35mm-wood-walnut-35valgwx686fsc 80501 Deanta Valencia Prefinished Walnut Glazed Door 1981x686x35mm - Wood: Walnut - 35VALGWX686FSC https://www.tradingdepot.co.uk/media/catalog/product/3/5/35valgwx686fsc.jpg 164.8300 183.1500 GBP InStock /Building/Doors /Brands/Deanta /Brands/Deanta/Complete Deanta Collection /Building/Doors /Internal Doors/All Internal Doors /Building/Doors /Internal Doors/Pre - Finished Doors /Building/Doors /Internal Doors/Walnut Internal Doors /Building/Doors /Internal Doors/Glazed Internal Doors /Building/Doors /Internal Doors/Modern Internal Doors /Brands/Deanta/Deanta Spring Sale The 35VALGWX686FSC is just a small part of the Deanta door range available at Trading Depot. The Valencia clear glass door comes with a beautiful Walnut closed grain. It has a smooth finish American Black Walnut veneers. 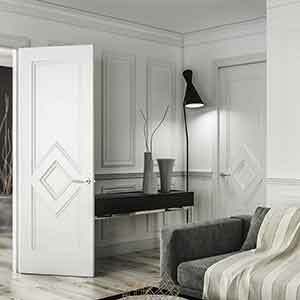 Made with real aluminium inlays separating its 5 panels it’s a very popular door. Supplied with 15mm solid black Walnut American lipping, it’s easy to trim and fit into your home.